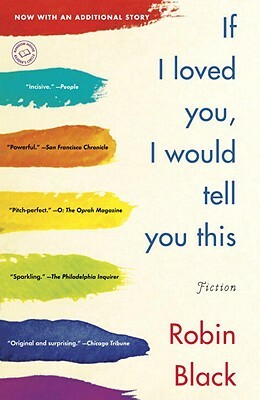 Robin Black's first book, the story collection If I Loved You, I Would Tell You This, was a finalist for the Frank O'Connor International Short Story Award and the winner of the 2010 Philadelphia Athenaeum Fiction Award. 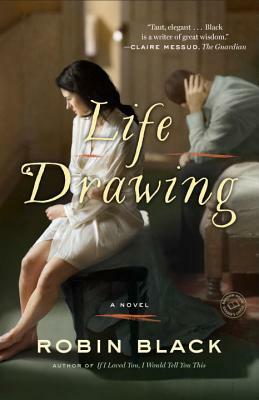 Black is also the author of a novel, Life Drawing, and an essay collection, Crash Course: Essays from Where Writing and Life Collide, published this year. Her work has appeared in The New York Times, O Magazine, One Story, and other publications. Black holds an MFA from Warren Wilson College and teaches in the MFA program at Rutgers University, Camden. She lives in Philadelphia with her family. In a conversation with Lisa L. Lewis, Black talks about being a late bloomer, the lure of social media, and the value of abandoned stories. Lisa L. Lewis: Many of the essays in your new book, Crash Course: Essays from Where Writing and Life Collide, were first published on Beyond the Margins, a now-defunct literary blog that was a joint project with about ten other writers. At what point did you realize that you'd written the basis for a collection? Robin Black: Beyond the Margins started in Boston in 2009. The goal was to create a provocative conversation about writing and the writing life. I was invited as a guest blogger the following year, then became their first satellite member in 2011. It became one of my most important writing communities. The blog ended in part because the pressure to get a new piece up every day became too much. We knew it was going to have to change dramatically, or we could say, "It was an amazing five years, and let's call it a day," which is what we did. That's when I really looked at the writing I'd done and realized I had almost 60 essays, including some from my time as the blogger-in-residence at Gulf Coast. It took some time to figure out how to shape the book as a collage and determine how the pieces best related to each other. In my mind, I was trying to provide people with the kinds of conversations I wished I'd had at various points in my life about being a late bloomer and a writer and also about finding one's identity in a creative life at all, complete with doubts and unhappiness and frustrations. LLL: In many interviews following the publication of your first book, you were pegged as a late bloomer. How did you feel about the label? RB: Getting a book contract at 46 was a completely unreal experience. It's something I'd dreamed about even before I was able to sit down and write, but I had a 20-year hiatus between being 19 and saying "I want to be a writer" to actually doing it. I can remember being really angry at myself during those years for not writing. When I started again, I was terrified that I'd missed some kind of boat. But my own narrative took a happy turn that I hadn't seen coming. When my first book came out, most of my interviews were about being a late bloomer. It may be particular to women who emerge in middle age or later to have that become your writerly identity. At first, I was really enthusiastic and aware of being an example for people who were worried about whether it could happen to them. My message was very positive—don't give up—but I've also come to see it as more complex and not such a happy thing. Those years of not writing have left a mark. There is a sadness of not knowing what I might have written at 28 and 34 and all those other ages; I wish my writing had had a chance to mature with me. Primarily, though, I have a huge sense of gratitude to the universe for being able to do something I'd wanted to do for so long. LLL: There's a particular poignancy to your relationship with your youngest daughter, given your career as a writer and her language-related disabilities. What has that experience been like? RB: It's an amazing story that's been almost 21 years in the making. The point when I started writing was almost exactly when we started to understand that she had serious learning disabilities largely focused around language issues. I felt tremendous guilt and unease and confusion at the fact that I was centering my career around something my daughter had such a difficult time with. I'd watch her as a teenager struggling with reading something I was writing, and I didn't quite know how to handle it. She's now in college—one with a serious focus on learning disabilities—and this semester she's taking two writing classes. She's come to a point in her life where she sees herself as a writer as well. There's nothing that could make me happier than that. LLL: One topic you cover in your essay My Parent Trap is the adage "Write what you know," in which you discuss how that advice can be limiting. Can you elaborate? RB: My own adult life has been fairly limited in terms of experiences. If I were to only write about what I know, I would write about childrearing and what goes on in a relatively narrow socioeconomic sphere. I adore my children and being a mother, but I don't go to literature to read about that. It isn't that I'm averse to the subject, but somehow there's an expectation that I'll be interested in it simply because I'm a woman and have spent my life home with kids. It's okay to explore the world outside your experience, with the caveat of not appropriating other people's experiences. LLL: On a related note, it's interesting that in your collection you also write about the strange phenomenon of having men see your work as women's fiction and buying it for their wives but not for themselves. RB: My work has been received more as domestic fiction or women's fiction than it would have been had a man written it. For me, it's odd because I don't write from a particularly gender conscious place in my brain—I write about human beings and why they do the things they do and, sometimes, what the fallout from that is. I don't see that as a concern just for women. Realizing that by and large men aren't going to read my work was one of the more shocking aspects of becoming an author. To me, it makes no sense at all. I've had many conversations with men about why they don't read novels by women, but there is no rational answer. I have to put it in the category of ingrained sexism. They read domestic fiction by men, such as Jonathan Franzen, so I don't think it's the fact that I write about people in their daily lives or in their relationships. To me, it's very weird. 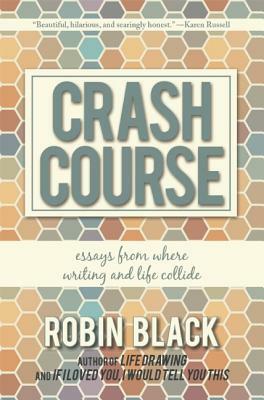 LLL: Which essays from Crash Course: Essays from Where Writing and Life Collide have resonated the most with readers? RB: The thing I hear the most from readers is: "I thought I was the only person who felt that way." In some ways, that's exactly what I was going for. People have also told me they can't believe how honest I was. I think the most revealing parts of the essays are where I talk about negative feelings, including feeling jealous of other people or frustration with myself. I talk a lot about that 20-year writing gap and the specific challenges my family presents to me, but I hope it applies to other people, as well. You have to make it clear how your writing applies to other people—otherwise, you're standing in a room and talking to yourself. The essay about envy of other writers is one that other people mention a lot. All of us have these moments when a friend gets a prize, and you're happy for your friend and also miserable. I talk in the book about how that reaction isn't so much about envy or jealousy but about self doubt. At the same time that one shouldn't act on it—you should be generous with the friend who's had the success—you shouldn't beat yourself up for feeling that way. I've also had a lot of people come to me and say something like, "Oh, I couldn't write until my mother died," because of what I wrote about my own issues with my father. And I've had a lot of people who connect with what I wrote about my lifelong challenge with attention deficit disorder. LLL: In your essay Twenty-One Things I Wish I'd Known Before I Started to Write, you write, "Network only as much as you can bear." How do you view social media? RB: I lost a couple of years to Twitter after my first book came out, and it robbed me of time working. I don't know that it was time well spent, although, on the other hand, I did meet some wonderful people. For me, an hour online, instead of sitting at the keyboard writing or taking an hour walk where you're letting your creativity unfold, is an hour misspent. If I'm on social media too much, it means things aren't going well with the work. I'm much more of a Facebook addict than a Twitter addict. I'm on there a lot! I've taken weeks off, and something will happen, and my first thought is, "Oh, I need to post this." But that's pulling away from experiencing life as it happens, and it also takes away somewhat from the urge to write. Writing is a communicative act—to communicate to other people things that feel urgent to us. But too much of that urgent need can go into social networking when it should go into the work. LLL: Earlier this year, you spoke on a panel about techniques for becoming unstuck as a writer. What works best for you? Are you stuck less often now than in the early days? RB: For me, feeling stuck has come and gone. I go through periods where I think this is it, I have nothing else to say, and then, suddenly, an idea will come to me. The most painful part of feeling stuck or empty is letting myself trust that it will ever change. My coping strategies have less to do with starting to write again and more to do with managing my own panics and concerns. I don't have a panacea, but one of the ways that I've found to distract myself is through other creative projects, such as visual arts, sewing, or cooking—projects without verbal or written content. For me, it's about not letting it become depressing and realizing I've been here before, and it's never meant that I'll never write again. I remind myself over and over that it's a natural part of the process. I've found that my level of self-consciousness is completely different as a published author. At times, I'm hyper aware of what the trends are in literature and the degree to which I do or don't fit into them. And I worry about writing something that proves that I shouldn't be a writer. It's imposter syndrome. I think, I have three books, and I got away with it! What if it becomes clear with book four that I have no business doing this? One of the things that's happened is I find myself self-conscious about whether I'm writing the same story over and over again. Sometimes, I'll get several pages in and realize I'm gnawing at the same bone. That makes it difficult to keep writing it—I worry that people are going to say I'm just writing the same story again. But the reality is, I think most writers just keep writing the same story over and over again. I doubt that what I see as these striking similarities are things other people are even going to notice. Even so, I have a ton of abandoned stories. LLL: Can you talk more about these abandoned stories? RB: I have between 75 and 100 of them. I'd say 90 percent of what I write never sees the light of day. I think a mistake people make is getting too attached to individual pieces. When I've taught, sometimes I'll say to someone who's revised and revised that their story has given them everything it can right now. Sometimes, it's just not the right time. Every once in a while, I'll go back to a story and get it to the point where I think it's a real story. I have some stories that are more than a decade old, and I'll go back again and again and then, suddenly, ten years in, I know how to make it a story.